The Upward Trend Blog: Free C.E. 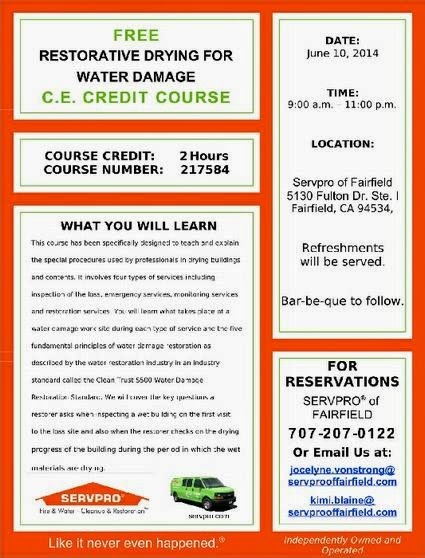 Credit Course On Restorative Drying For Water Damage: June 10th. Register Today! Free C.E. Credit Course On Restorative Drying For Water Damage: June 10th. Register Today! It's not too late to register for the free Restorative Drying For Water Damage C.E. Credit Course held at Servpro of Fairfield on June 10th, 2014.